The largest tech exposition in the fall of the year has brought us a bunch of exciting new announcements, and after taking a look at the best smartphones and best smartwatches, it's time to round-up the best new tablets of IFA 2015. Tablets have recently slowed down their market expansion as people cling to them longer than they do to phones, but this has a positive side to it, as tablet makers understand that they need to do more to convince people to buy a tablet. That's what has pushed the boundaries of tablet innovation this year and we have quite a few interesting new announcements: a super-powered gaming tablet, a slate with a neat projector and more. What are they all about? 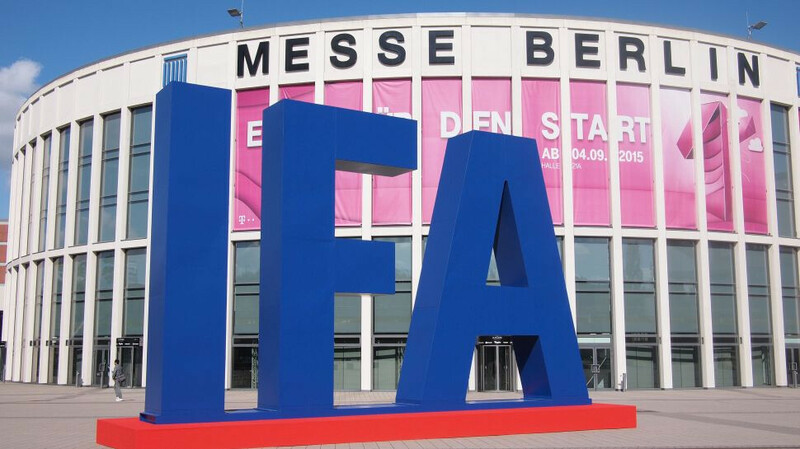 Take a look at the best tablets of IFA 2015 right below. The Acer Predator 8 GT-810 tablet enters the scene and it's a monstrous little machine tailor-made for gamers: it all starts with the Alien-like design, but it's not just about the visuals, as the slate features four front-facing speakers that provide virtual surround sound and there is tactile feedback via Predator TacSense tech for more immersive gameplay. In a flurry of new laptop announcements, Lenovo has also presented its brand-new laptop-tablet hybrid – the Ideapad MIIX 700. Built with versatility in mind, the device has a built-in kickstand, stylus, and comes with a keyboard dock, which one can use whenever the situation calls for more serious work to be done. The MIIX 700 comes with Windows 10 on-board and will be available in a few different hardware variations, going up to Intel Skylake Core M7, 8 GB of RAM, and 256 GB SSD. In terms of connectivity, the slate has two USB ports – one supporting USB 3.0, the other – USB 2.0; an micro HDMI port, microSD expansion slot, and, for LTE models, a microSIM slot. Design-wise, Lenovo calls the Ideapad MIIX 700 recognizably different, designed to stand out, and disrupting. However, if by reading the description above, and watching the pictures below, the only thing you can think of is “A Surface Pro 3 copy” – know that you are not alone. Still, we wouldn't say that is a bad thing, is it? Lenovo has just announced the YOGA Tab 3 series, starting with the entry-level Tab 3 8” and Tab 3 10”. Both slates feature Lenovo's signature foldable stand, together with the hanger hole, which allows users to prop the tablets up in many various ways, depending on location and situation. Additionally, each of the devices packs a set of stereo speakers on its front, powered by Dolby Atmos 3D Surround Sound tech. yeah,.. indeed the lenovo miix 700 copied SURFACE 3 BUT doesn't come close..